Kenya Harlequins scored seven tries as they beat Kisii RFC 43-17 in the 10th round of the Kenya Cup on Saturday, Feb 24, 2018 at RFUEA grounds. Kisii have technically been relegated from the Kenya Cup as they needed to beat Quins to stay in the competition until next weekend or pick a losing bonus and hope Mwamba loses to Blak Blad which didn’t happen. Kisii RFC have seven points as 10th place Blak Blad have 15 making it unreachable for Kisii even if they are to beat Mombasa RFC next weekend. 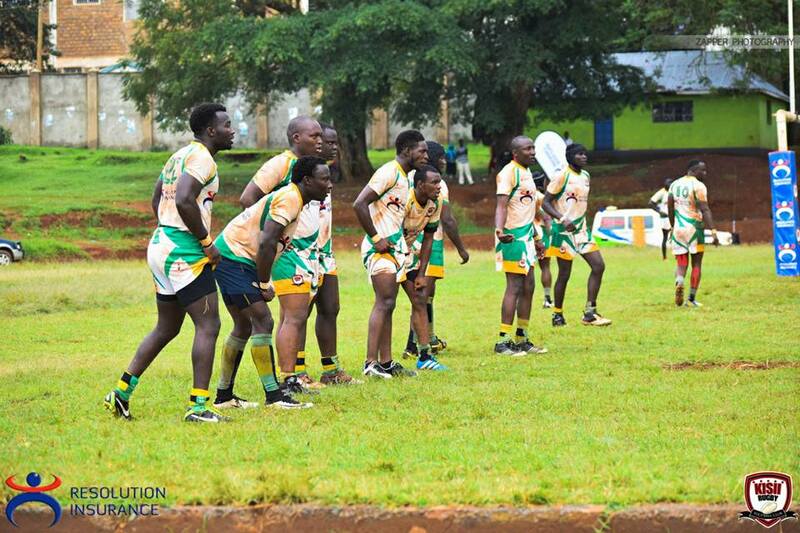 During their one-season stay at the Kenya Cup, Kisii beat Mwamba RFC and picked losing bonus points. Dennis Muriithi, Ronald Musajja, George Odipo, Lyle Asiligwa, James Kangethe Isaac Adimo, and Daudi Semwani scored for Quins as Allan Kitoi(2) and Israel Makoha ran over for Kisii. For the win, Quins stay fifth with 33 points after picking five in the win over Kisii. Their last match will be against Nondies at Jamhuri Park.